18 children have died of heatstroke from being left behind in cars by parents and caregivers so far this year. Three of those children died in South Carolina. 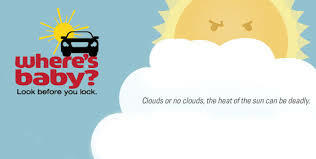 Kids and Cars, national nonprofit working to prevent children’s death and injuries in and around vehicles, states that over 670 children have died from vehicular heatstroke since 1991. 100 percent of those deaths are preventable. The NHSTA urges parents to never leave kids unattended in cars. It only takes 10 minutes for a parked car to heat up an additional 20 degrees Fahrenheit. Children’s body temperatures rise five times faster than adults. Cracking the windows doesn’t work. Children die when their body temperature reaches 107 degrees. While there are no laws against leaving children unattended in vehicles in SC, intentionally endangering a child’s life is a criminal act. Worse than that, however, is living with the consequences. This is something David Richard Gray III of Hartsville, S.C. knows all too well. On May 8, 2014, Gray left his 13-month-old, Sophia Goyeneche-Gray unattended in his truck, while he was working for several hours. Once he’d remembered she was still in the truck, it was too late. Sophia died of hyperthermia, due to extreme heat. The death was ruled accidental and Gray was charged unlawful conduct towards a child. For David Gray and Sophia’s mother, Amanda Goyeneche the unimaginable loss has fueled a campaign to save other children from dying like Sophia. 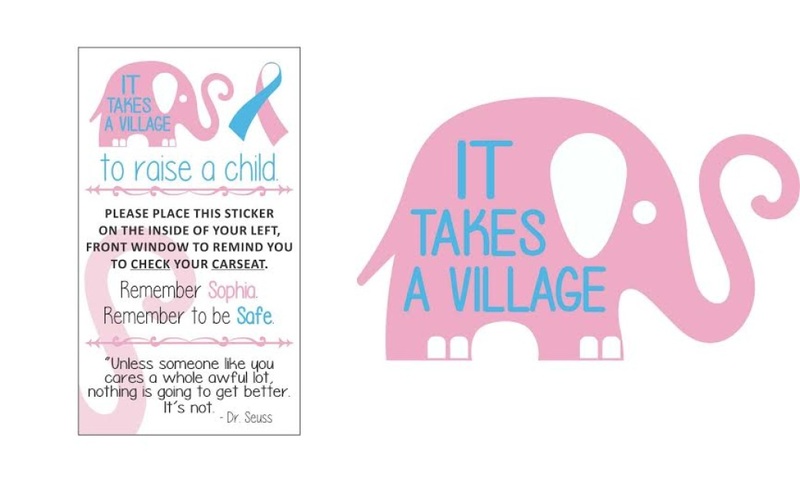 With the advisement of Children’s Trust of South Carolina, Goyeneche and Gray created Remembering Sophia’s “It takes a village to raise a child” awareness campaign. Thousands of free pink elephant stickers with the phrase “It takes a village” have been shipped to 37 states and three countries. Goyeneche and Gray ask that stickers be placed in the front left windshield to serve as a reminder for drivers to check the car seat when exiting the vehicle. Another awareness campaign started simply on YouTube. Father Terry Brantley of Greensboro, NC urged parents and all adults to take the Hot Car Challenge and experience what it’s like to be stuck inside a hot car for at least 15 minutes. Brantley said to ABC News that he didn’t expect the challenge to get so much attention, but he hopes it save lives. Since its launch, The Hot Car Challenge has received over 2 million views and now over 50 people have responded by sharing a video of their own “hot car challenge” experience. With attention and intention, no more children have to die from this preventable tragedy.